Madikwe is a prime wildlife reserve safari destination with a choice of excellent accommodation venues. Unique family friendly malaria-free Safari destination catering for all your holiday traveling needs. Madikwe Game Reserve is is one of the largest game reserves in South Africa; besides many other wildlife species, the Big 5 can also be found in the reserve. 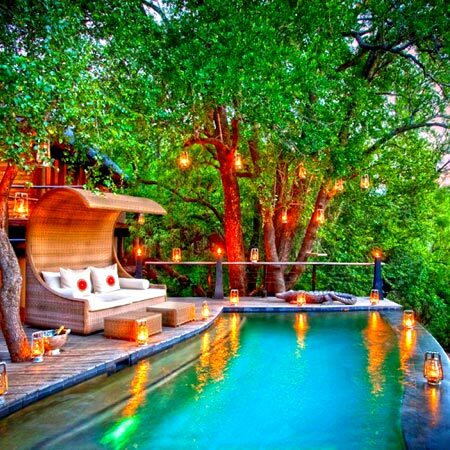 The camp is set within the riverine canopy along the banks of the Marico River and consists of 12 tented suites. This five-suite retreat, originally built as the owners’ family escape, situated in the heart of Madikwe Game Reserve. 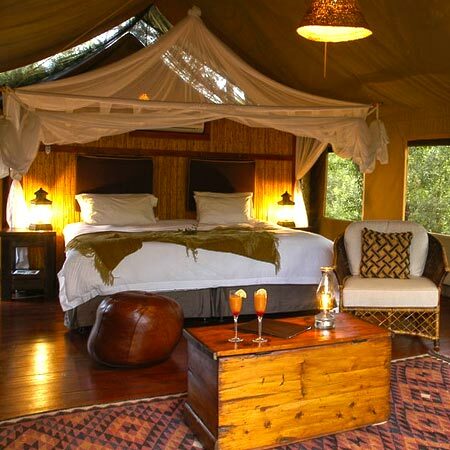 Morukuru is a superb, exclusive use game lodge that is the epitome of extravagance, sleeps six adults and four children. Madikwe is a prime wildlife reserve safari destination with a choice of excellent accommodation venues. It is one of the largest game reserves in South Africa; besides many other wildlife species, the Big 5 can also be found in the reserve. Accommodation in Madikwe is mainly in luxury private game lodges rated 5 and 4 stars and is of the highest standard. The Reserve borders Botswana and is located in North West Province, 90 kilometers north of Zeerust, about 3.5 hours' drive from both Johannesburg and Pretoria. Madikwe Game Reserve is one of the few game reserves in southern Africa, the only place in Africa where Springbok and Kalahari Gemsbok meet naturally. 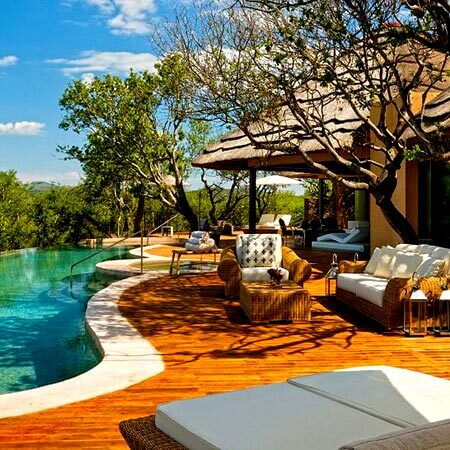 The Reserve is a unique family friendly malaria-free safari destination catering for all holiday and business travel. A special feature of Madikwe lies in its unique location, a transition zone on the edges of the Kalahari, where a number of rare species occur naturally, and the bushveld. The climate is generally mild to hot, but winter nights can be cold. Explore the nearby Pilanesbeg Game Reserve - in an ancient volcanic crater "The Volcano that gave birth to a game reserve"
Deep in the rugged bushveld, in the heart of an ancient volcano, lies the world's most unique resort. The Park is the primary destination in South Africa for many international tourists. The Reserve is the birthplace of sustainable wildlife tourism in Southern Africa, and is the oldest of them all. The reserve lies within a transition region between Lowveld bushveld and the Kalahari thornveld. As a result the region is host to an incredible diversity of species from both ecosystems. Geographically the region has enormous volcanic intrusions known as Inselbergs, wide open plains and the riverine environment along the Marico River in the east of the reserve. The rich diversity of vegetation ensures a wide range of game and the topography offers ideal game viewing opportunities. Madikwe is home to 66 mammal species including the Big Five and more than 300 resident and migrant bird species. The Reserve is a protected area in South Africa, part of the latest park developments in the country. It is relatively close to Pilanesberg National Park and there is currently a two year scheme between the two protected areas that will eventually lead to there being a corridor between the two parks. Madikwe has also started Community Lodges, which the local villages own and run. All profits are then used to uplift the communities.